How often does what we desperately wish for come true? Ojalá has always been one of my favorite Spanish words, perhaps precisely for the magic and the possibility that it holds. Although it is directly translated to “hopefully,” ojalá actually derives from an Arabic expression: “ma sha allah,” which means “should God will it” (ما شاء الله‎). Ojalá is a word used when you really hope and wish that something will happen—almost as if requesting divine intervention. Ojalá is one of many Spanish words of Arabic origin, remnant of the Moorish conquest over the Iberian Peninsula in the 700s. Over time, Arabic expressions mixed with the Spanish language to create the Castilian Spanish dialect, which has heavily influenced Spanish-speaking countries today. I’ve felt ojalá many times before, but never like I did when I was in Peru. 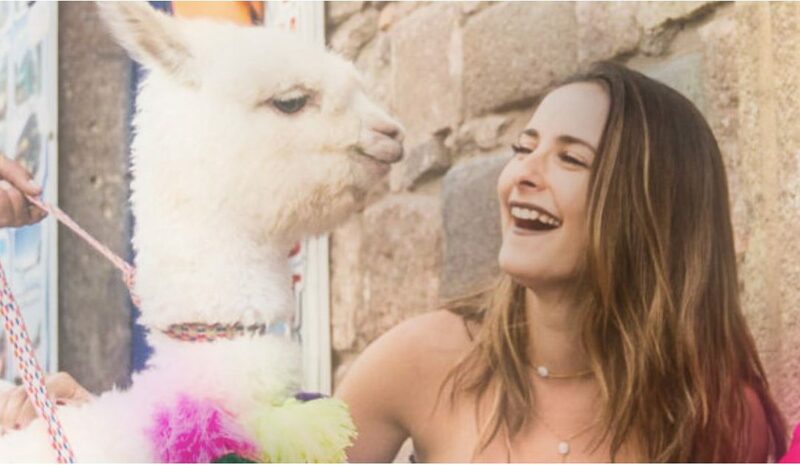 My friend and I had just returned from a magical visit to Machu Picchu, and jumped into the back of a local taxi to head back to Cusco from Sacred Valley. 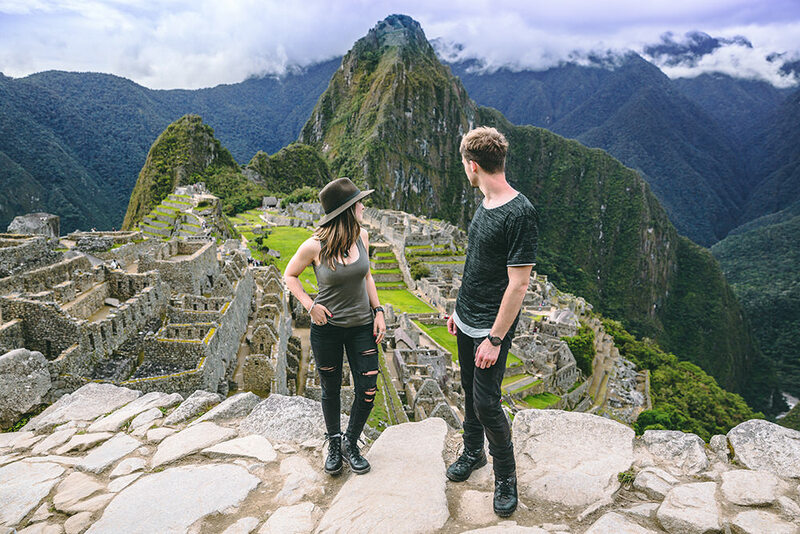 During the long car ride, our heads were in the clouds from having experienced one of the Seven Wonders of the world’s breathtaking beauty. It wasn’t until we were comfortably settled back into the city that I experienced one of those God-awful, stomach-dropping feelings you get when you realize you’ve lost something really, really important. Specifically, we had forgotten our expensive camera with all of the trip’s footage in the back of the taxi. I was going to need a whole lot of God to find an expensive filming camera, left in a random unidentified cab from a small town in the middle of Sacred Valley, with no idea of the driver’s name or identity. And so, the chase began. I called the owner of our hotel in Ollantaytambo to inform him of the situation. After spending hours at the taxi station looking for the man who matched our vague clues (black car, white seats, was it a Honda or a Hyundai? ), he, too, expressed that ojalá, this man would be honest enough to return our belongings. 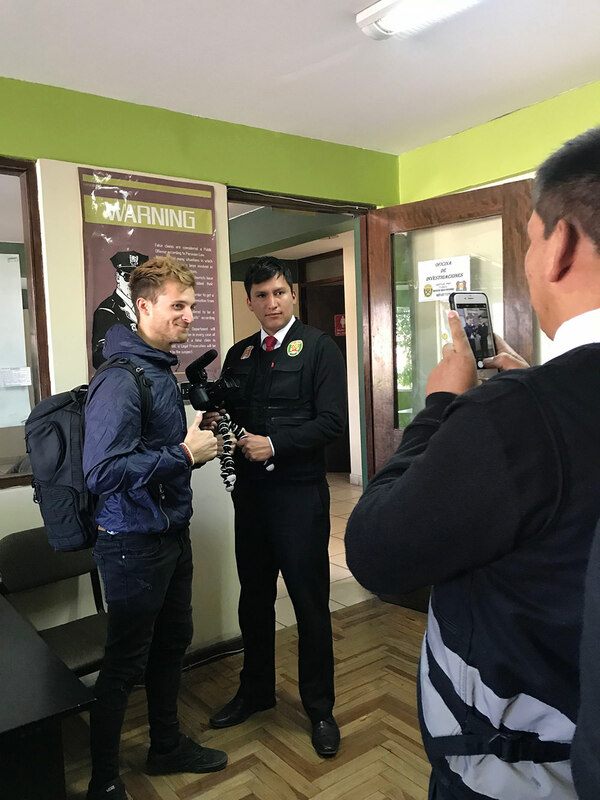 In the meantime, we spent hours at the Cusco police station, begging to see surveillance cameras that weren’t even working. We then drove 2+ hours back to the small town in Sacred Valley and spent hours waiting at the station, looking for a man we didn’t well remember and a car that we doubted we could recognize. Ojalá that we find him, the Peruvians who were helping us said, but I wasn’t sure most of them were hopeful. With the support of the kind strangers around us, we pushed forward. We visited the small town’s police station and were finally able to access security cameras that worked. Once again, the police commander expressed, “ojalá que lo encontremos” (God willing, we will find him). We spent hours in the control room analyzing car after car from that day. Just when we were on the verge of giving up, a car looked more familiar than the others. Twenty-four hours later, we had a registration number, tracked down the driver in Cusco, and recovered the camera. The whole time we were searching for this camera, the people around us wished ojalá that we would find it. But funny enough, our luck wasn’t determined by God: it was created by the people around us, who didn’t know us or owe us a thing but went above and beyond to help two distressed strangers find their lost belongings. In just a few days, Peruvians from all walks of life—policemen, hotel owners, taxi drivers, acquaintances, even strangers in the street—came together to help us. In the end, one negative incident resurfaced just how much kindness lives in those around us. Ojalá reminded me that as much as we may yearn for divine intervention, in the end, the real change comes from people. Our humanity shines in these moments of doubt, difficulty, and loss, when we witness how others around us go above and beyond to support us through the struggle. That is the sort of hope that I see in the world. And, should God will it, shall continue as such.